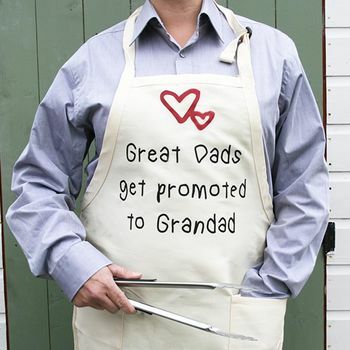 A beautiful, natural cotton cooking apron for your Grandparents. 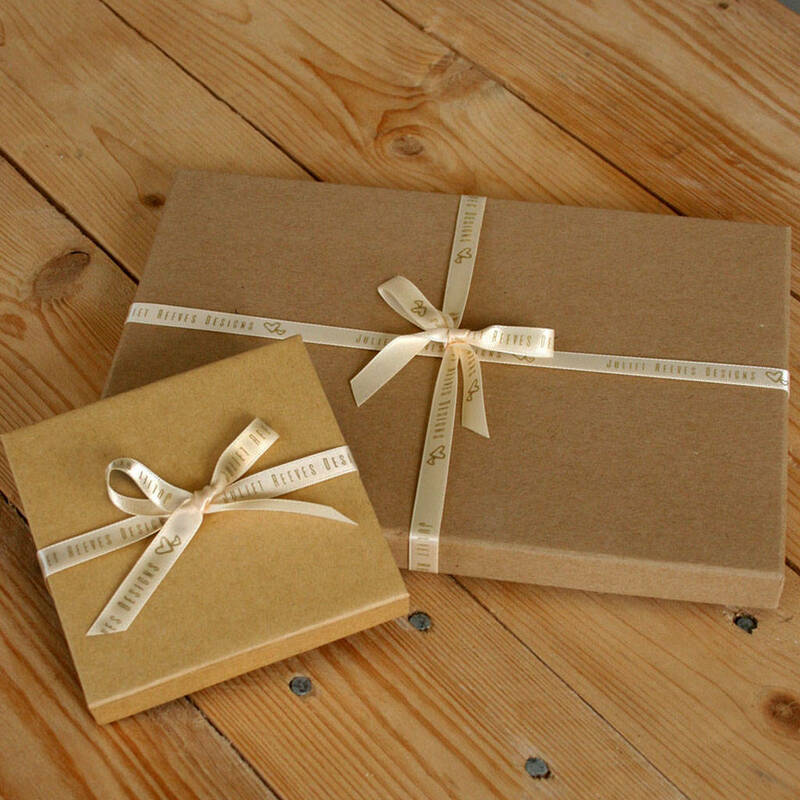 The perfect gift to give as a reveal of a new addition to the grandparents to be. A useful Father's Day, Mother's Day or Birthday gift. 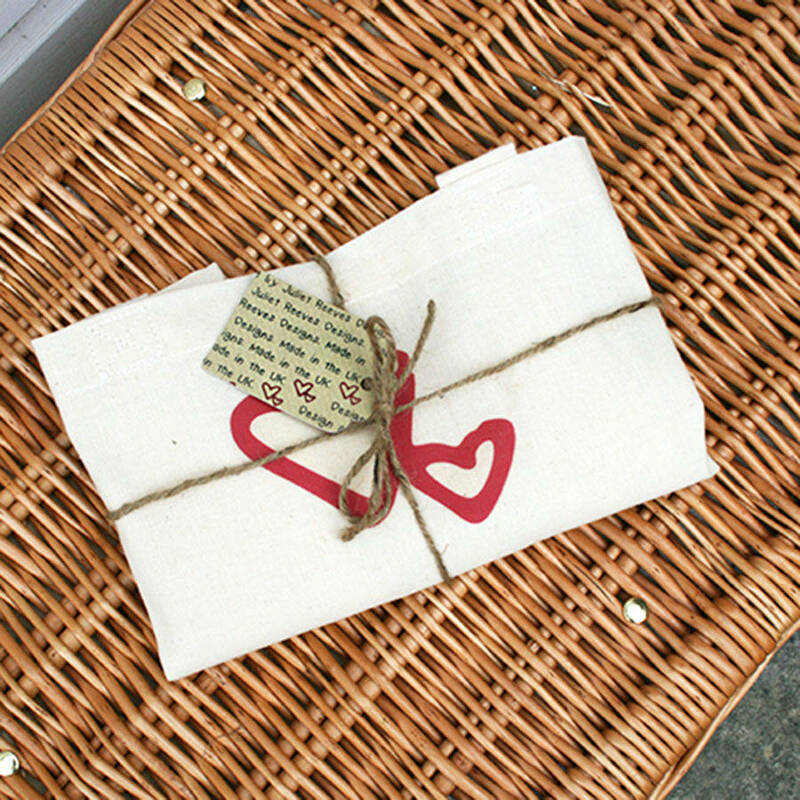 This apron is 100% natural cotton and will come wrapped in a matching ribbon. 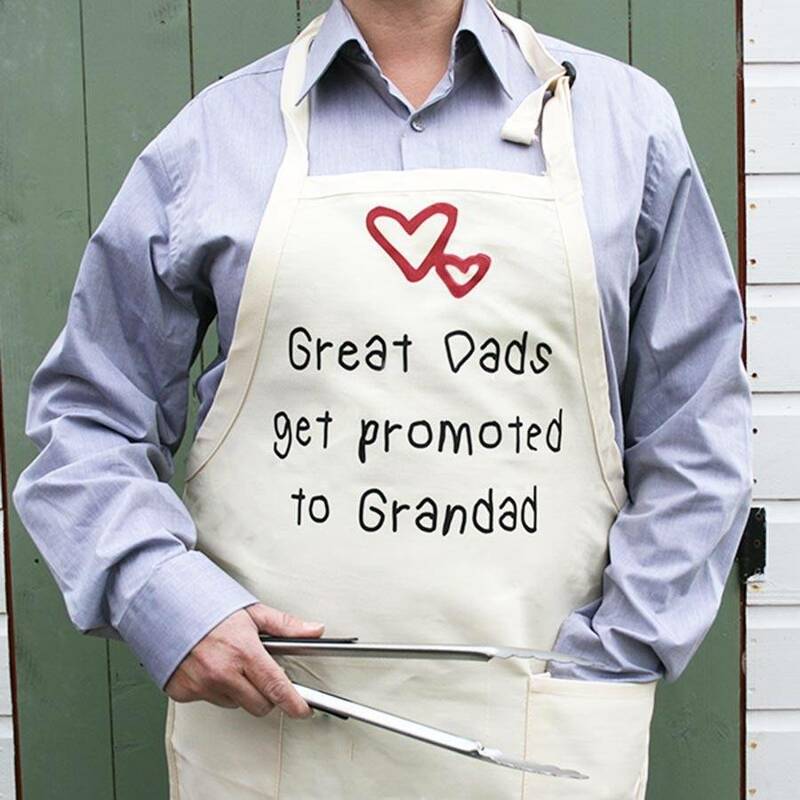 There is the option to choose 'Great Dads get promoted to Grandad', 'Great Mums get promoted to Nanny' or 'Personalised Text'. 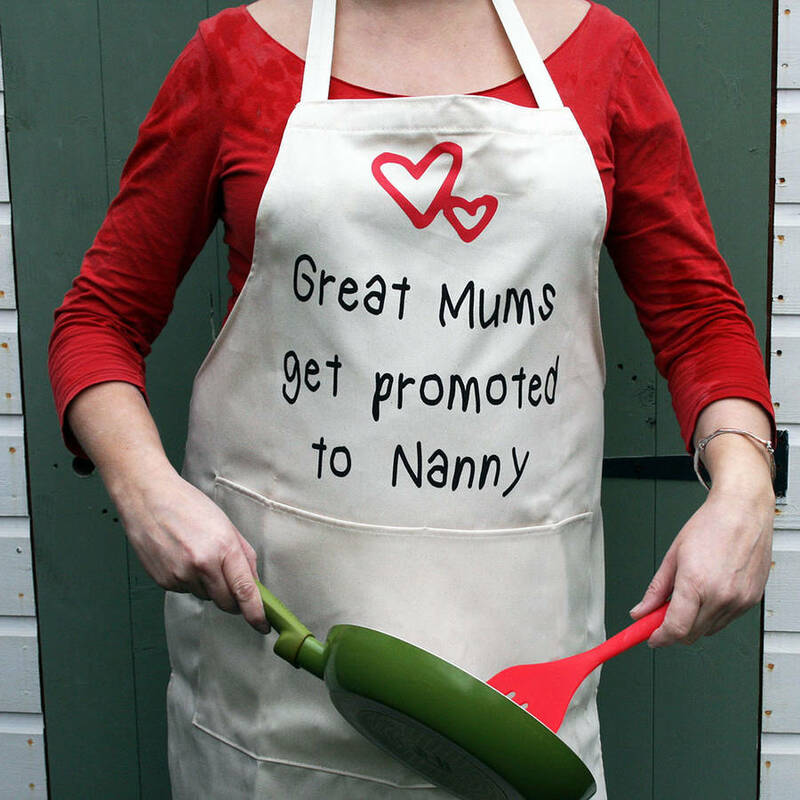 If you would like to change any of the text on the apron, this is classed as 'personalised'. Please ensure 'Personalised Text' is selected from the drop down menu and ALL the text you require is entered into the text box.